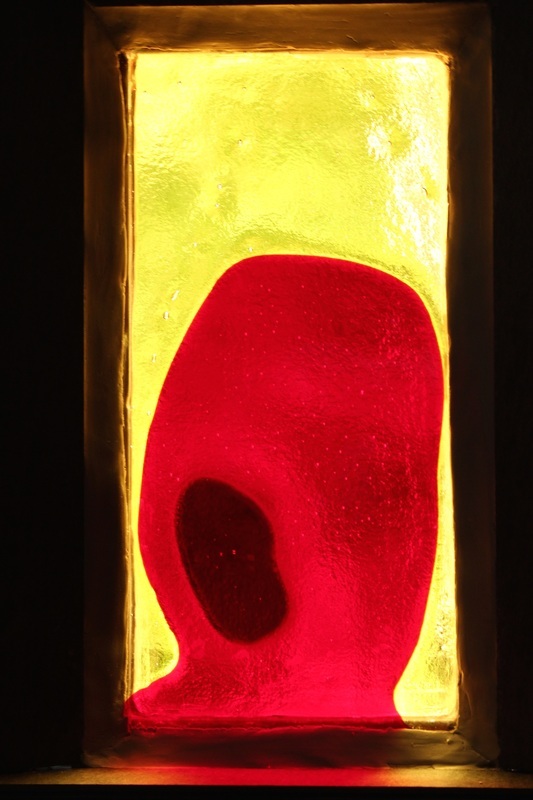 The fused glass windows change with the environmental light. We are able to fuse single glass panels up to 24 x 48 in. Shapes can be hand cut or cnc water jet cut. The panels are approximately 6mm thick with an undulating surface. We would be happy to help you with your unique window project. Dancing Window - commissioned for a private home in Melbourne. Red Head Window - commissioned for a private home in Melbourne.